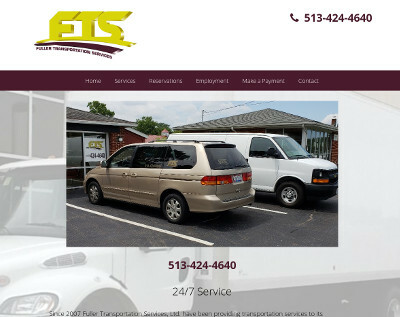 Abell, the owner of Fuller Transportation Services, Ltd. reached out to us a while back needing to get a website. He provides taxi and shuttle services in and around the Middletown, OH area. Abell provided us an example website and let us know what functionality he needed on his website. After the site was completed, he had a six page website that was mobile friendly with an online reservation capability, online payments via PayPal, and a basic contact form for general inquiries. The website is at fulltranserv.com.